One of greatest things about Journo Portfolio is how easy it is to create a unique writing portfolio. 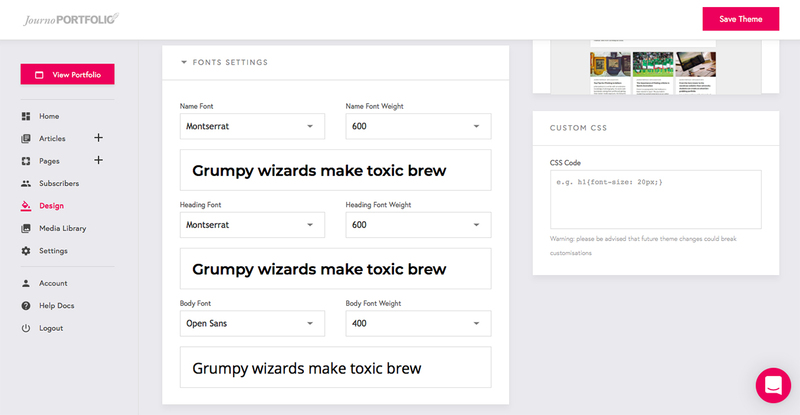 After you choose a theme, you get to customize other details such as font styles. Changing your font is simple and helps create a portfolio that is unique to you. 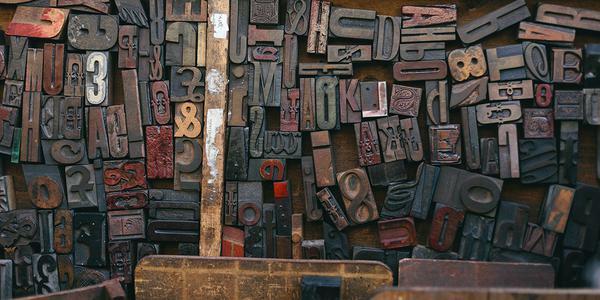 We’re going to take a look at some examples from existing Journo Portfolio users, and then we’ll show you how to change the font in your portfolio. At first glance, J.N. Paquet’s portfolio is clean and easy to read. J.N. has chosen to keep his fonts simple, using Raleway for both the header and body font. Raleway is a sans-serif font that is sleek and modern, which makes it easy on the eyes. Choosing to keep the header and body fonts the same is a nice trick for anyone who wants a minimalist look or just isn’t confident about pairing different fonts together. For her portfolio, Ashley Lauretta has paired two different fonts together. 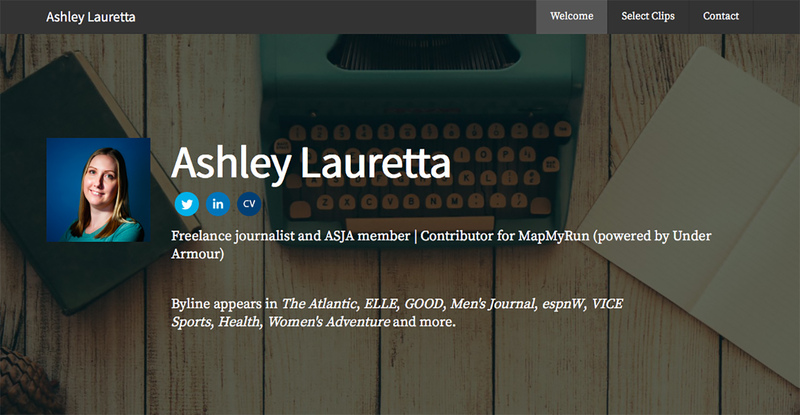 Ashley has chosen Source Sans Pro for the header font and Source Serif Pro for the body font. The fonts are different enough that they are complementary to each other, adding visual interest and creativity to her portfolio. 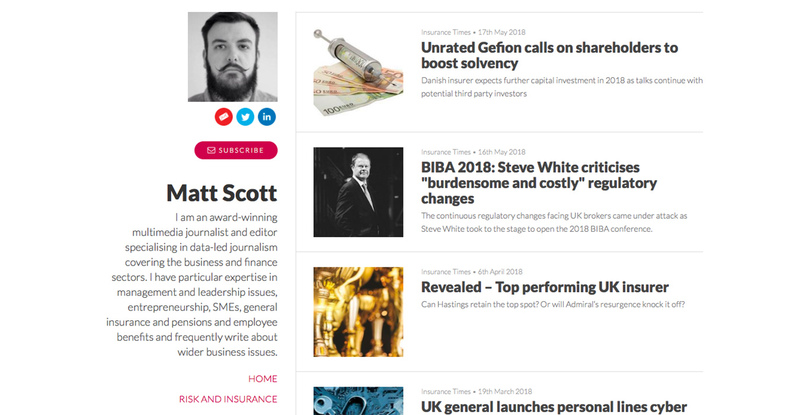 Matt Scott has chosen to use Lato for both his header and body font, but with a twist. Matt has changed the headers to have a weight (meaning the thickness of the font) of 900, so they look very bold. The body has a weight of 300, which just a bit thinner than usual. These customizations make the headlines of Matt’s articles stand out, while the body text is light and easy to read. As you can see from the examples above, there are a few different ways you can play with font styles to create a unique writing portfolio. 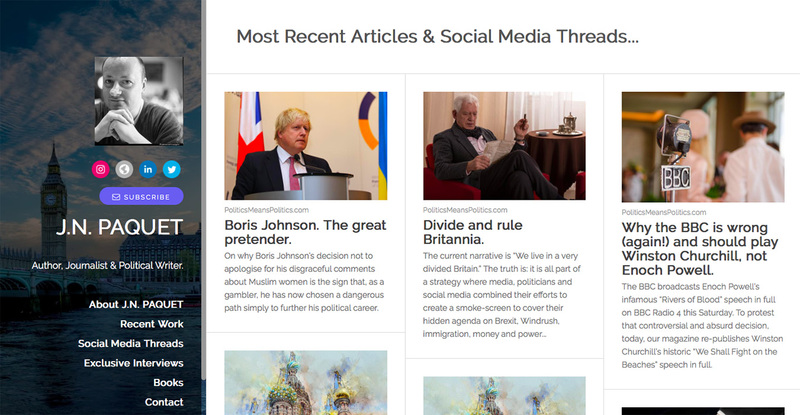 In order to change the fonts on your portfolio, first head to your Journo Portfolio dashboard. From the dashboard, click ‘Design’ on the left-hand side. You’ll find an accordion section called ‘Fonts Settings,’ and then you’re ready to get creative! Journo Portfolio gives you the option to change the Name Font, Heading Font, and Body Font. There are more than 60 different fonts to choose from, broken into five categories: Sans-Serif, Serif, Display, Handwriting, and Monospace. Each font will have a variety of font weights to choose from as well. If you want to take customization even further and know how to write code, there’s also a box for entering custom CSS. Font customization with Journo Portfolio is both easy to do and quick to change. You can be in and out of the Design dashboard in less than a minute to create a new look for your writing portfolio.